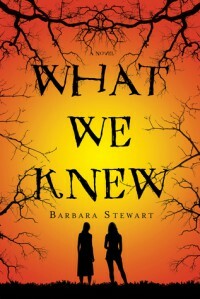 I was curious about Barbara Stewart’s What We Knew based on the description of the novel alone. It sounded like a story that was all about a supernatural thriller. It sounded exciting and unexpected. I can say that, after having finished the novel, it definitely wasn’t what I expected. In What We Knew our main character Tracy has grown up alongside her childhood best friend Lisa hearing stories of a monster living within the nearby forests. As children, the stories terrified the two of them. Now that the girls are teenagers, Tracy recognizes that the stories are nothing more than urban legends. But when Lisa begins to insist that something is out there, the two girls are launched into a pursuit of something unknown that will test the boundaries of their friendship. Truths will come to light as the two girls begin to come to terms with the past and the present as they venture into the unknown and realize the line between reality and paranoia. Throughout reading What We Knew, I won’t deny that I wasn’t certain of what it was I was supposed to be experiencing. Typically each chapter of a novel pushes he storyline forward. My main problem with What We Knew was that I didn’t quite understand just what the novel was supposed to be about. A quarter of the book felt like it was about discovering whether the urban legend of the man in the woods was real; another quarter felt like a story of discovering friendship; another quarter discussed sexual assault and the impact it poses on survivors; and another quarter of the novel felt a lot like filler. I won’t deny that Stewart’s writing was good at keeping me reading. The chapters I enjoyed most were written as emails between characters and I found them the most gripping, exciting parts of the entire book. They garnered intrigue and made me interested in continuing the novel. However, as a teen reader reading a novel about teens, what took away from reading the majority of the novel for me was how the characters sounded ‘forced’. The flow of making the characters sound young and hip was inconsistent and made me wince from time to time. What I can say is that the ending for What We Knew wasn’t at all what we expected. I genuinely enjoyed the novel’s ending and was content with the way that the story came to a conclusion. I do like the way that Sterwart treated the topic of sexual abuse and assault and the way she portrayed that in a realistic sense. I just wish that the novel could have been clearer in terms of storyline and offered an experience that felt engaging throughout. 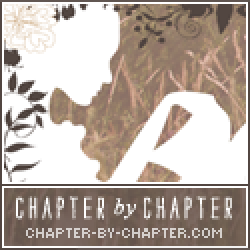 I would recommend What We Knew to readers who are fans of authors like Cherlyn Rainfield. Readers who are looking for a novel that deals with serious themes should also give What We Knew a read. Any readers who are looking for a novel that can also be read easily should give What We Knew a try.